Kings brand chrome/walnut finish wood & metal suit Valet rack stand organizer. 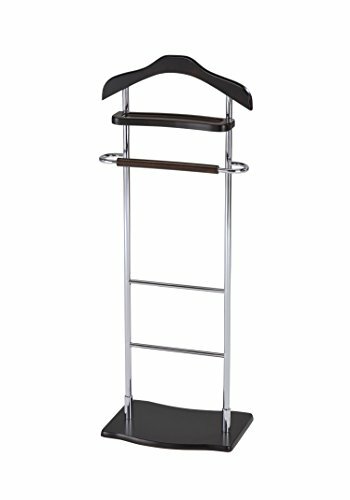 Keep your clothing and accessories organized and ready to go with this classic Valet stand. This attractive stand is made of metal and wood with a deep Walnut finish. Dimensions: 15.7"X11.8"X42.5"H. Simple assembly required. Kings brand chrome/walnut Finish wood & metal suit valet rack stand organizer. Keep your clothing and accessories organized and ready to go with this Classic valet stand. This attractive stand is made of metal and wood with a deep Walnut Finish.